As the hardworking staff diligently perused its costly home-delivered newspapers the past few days, we’ve encountered a number of full-page ads that have left us, well, bemused. Start with this two-page spread in the Sunday New York Times Pride 2017 Special Section. 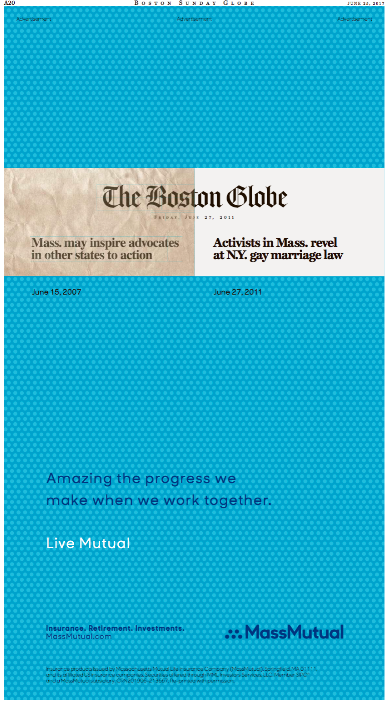 That Mass Mutual ad was mirrored in the Boston Sunday Globe A section. We’ve always found it odd that a news organization would allow advertisers to appropriate its banner or editorial content in their ads, but maybe that’s just us. More puzzling was this full-page ad, also in Sunday’s Times. The ad, tagged by the Internet Defense League, was paid for by an outfit called Private Internet Access, as detailed here. 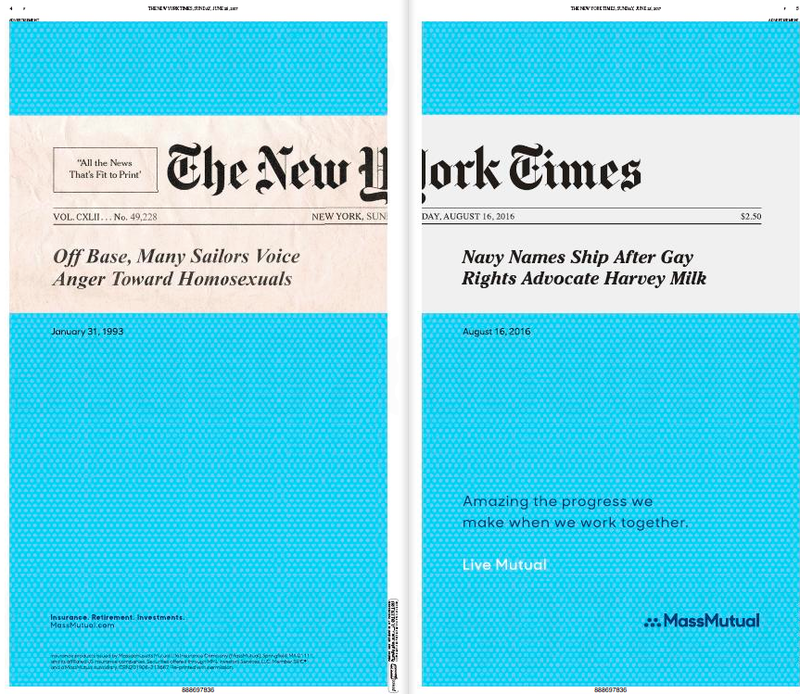 Today, Private Internet Access is shining the cat signal with a full page ad in the New York Times to gain support for the Net Neutrality Day of Action on July 12th that Fight for the Future and other organizations are planning at Battle for the Net. We, the people of the Internet, have stopped these draconian attempts to close our access to the open internet in the past with the Internet Blackout, and we must do so again each time. Whether you represent a company, a community, or an individual, join us at the Internet Defense League for this and future actions. Here’s the thing: Any ad that features just a graphic and a website makes the audience, rather than the marketer, do all the work. Which the vast majority of Sunday’s New York Times readers would likely not do. 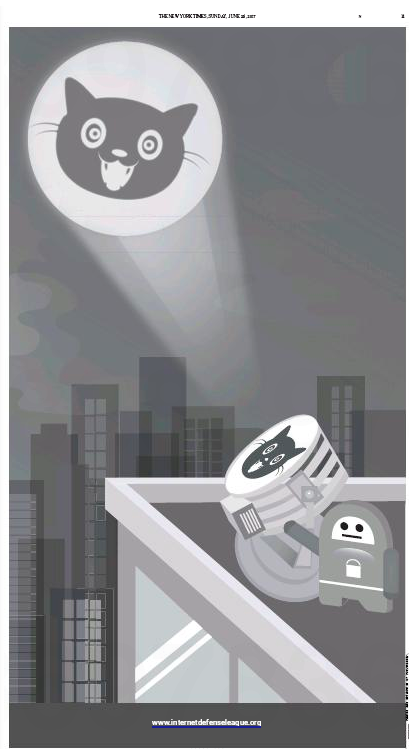 The Cat Signal ad has no headline and no body copy. You do the math. Finally, this ThirdLove ad in Tuesday’s Wall Street Journal had the headscratching staff totally befuddled. First of all, a bra ad in the Journal? On B6? Seriously? And, presumably, a very small percentage of them wear bras on a regular basis. So why did ThirdLove choose the Journal? We’ll give them a holler and ask. 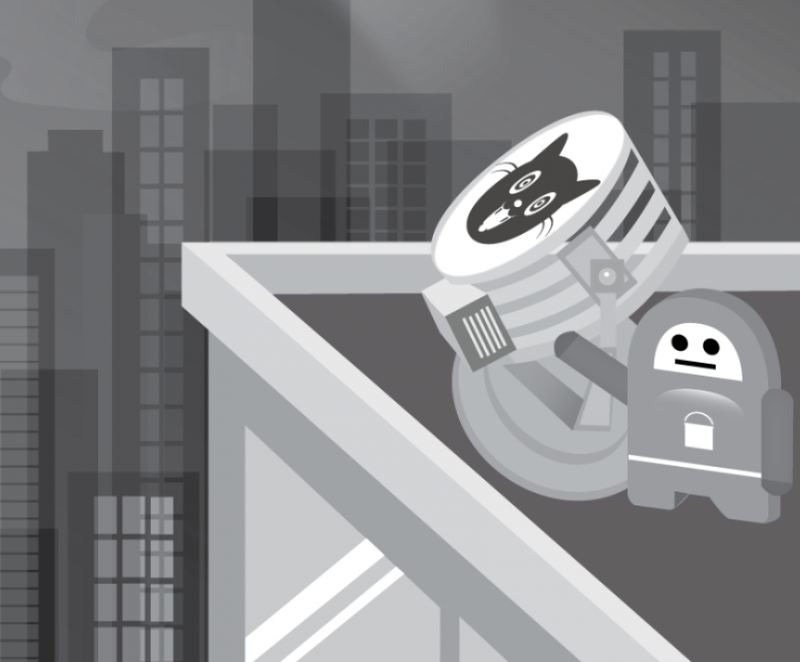 This entry was posted in Uncategorized and tagged #CatSignal, Battle for the Net, Boston Globe, CNNMoney, David Ogilvy, Internet Blackout, Internet Defense League, Justice League of America, Mass Mutual, Net Neutrality Day of Action, New York Times, Pride 2017, Private Internet Access, ThirdLove, Wall Street Journal. Bookmark the permalink. Hey daddy-o, if you don’t dig the cats, maybe you’re just not hep. Sadly, I’m not hip enough to be hep, man.